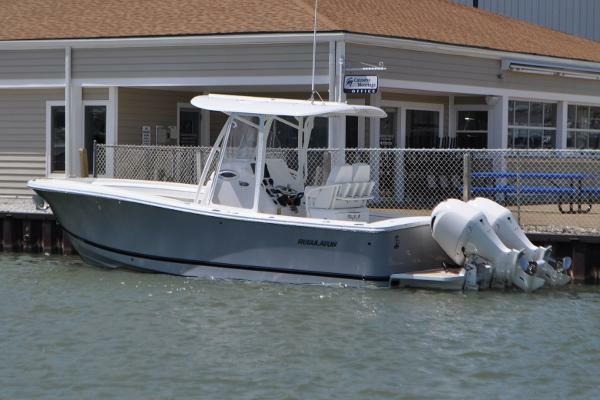 2017 Regulator 25 Storm Gray Hull - White Painted Engines - Garmin Fish PackageFebruary ArrivalSales office is closed on Sundays. 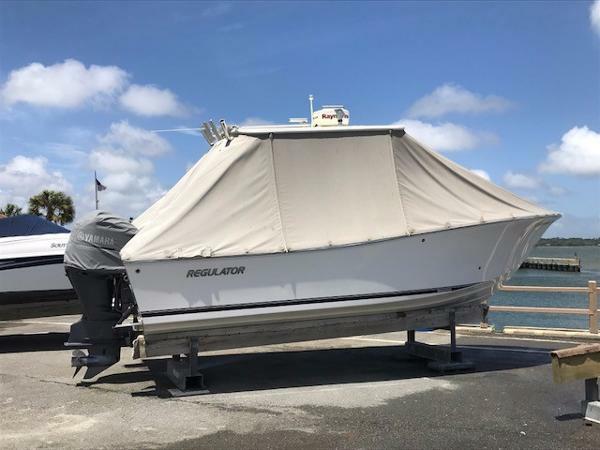 2017 Regulator 34 White Triple Yamaha EnginesCustom Color: Pastel BlueGarmin Offshore Fishing PackageDECEMBER 2016 ARRIVAL The 34SS is perfect for both entertaining and fishing. Cruising comforts include wraparound seating on deck and sleeping berth with head below. Plus, we added the Cockpit Galley with a grill, Corian counter top, fridge and sink! Fishing amenities include plenty of rod and tackle storage, huge forward fish/storage boxes, and transom fishbox & livewell. 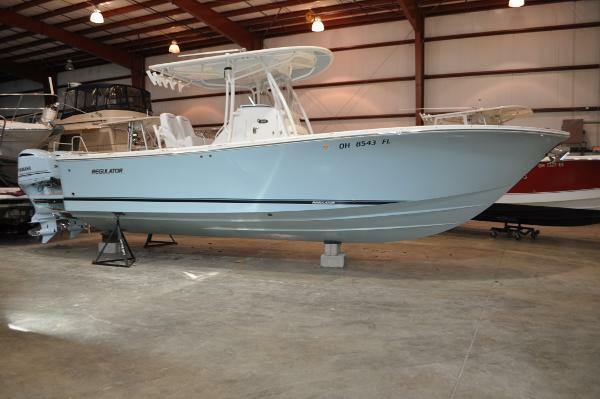 2017 Regulator 34SS White Triple Yamaha Engines with Helm MasterFEBRUARY 2017 ARRIVAL The 34SS is perfect for both entertaining and fishing. Cruising comforts include wraparound seating on deck and sleeping berth with head below. Plus, we added the Cockpit Galley with a grill, Corian counter top, fridge and sink! Fishing amenities include plenty of rod and tackle storage, huge forward fish/storage boxes, and transom fishbox & livewell. 2007 Regulator 29 FS SHED KEPT since New! Only 215 Hours! 2007 29 FS with Flag Blue Hullsides. 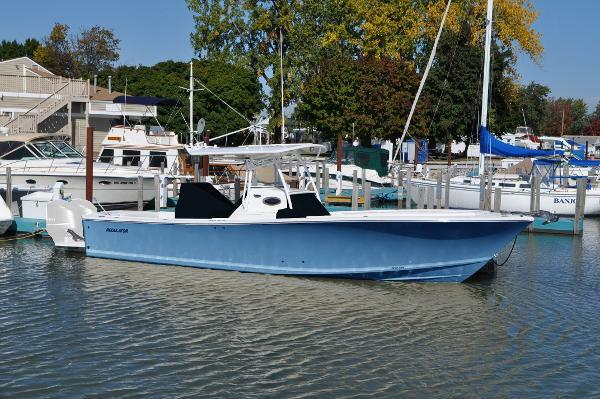 She Sports a Tackle Center, Twin 250 Yamaha Four Strokes, 3 Sided Spray enclosure, and MORE! Regulator Marine builds its FS forward seating series for both the discerning sportfisherman and the family, and the 29FS is no exception. 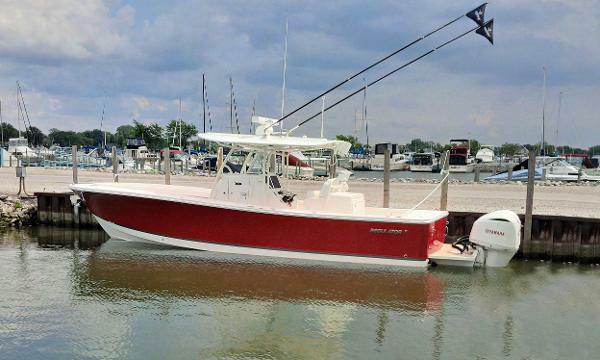 Born and bred in Carolina, this carefully hand-crafted boat has the muscle to take you to the out islands and the means to take care of your crew throughout the journey. The 29FS showcases a forward seating area that can seat five comfortably and includes wraparound coaming pads that double as backrests. Snap-in, upholstered cushions top the above-deck, 200-quart, insulated storage boxes on either side. Measuring approximately six feet long on the inside, each of these cavernous compartments will easily swallow a Wahoo. 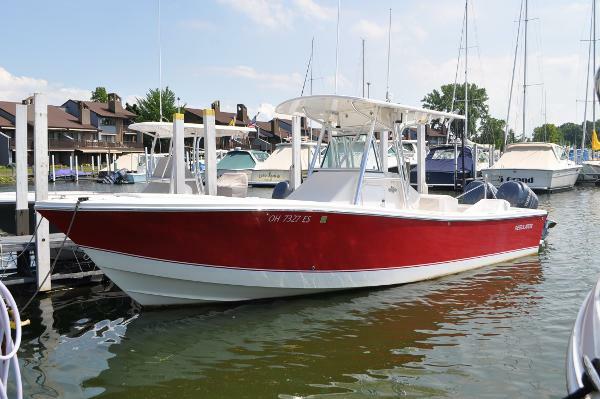 2017 Regulator 31 NEW MODEL FOR 2017REGULATOR RED HULL SIDES - WHITE ENGINESARRIVING AUGUST, 2016The brand new Regulator 31 is a fishing machine. You get the legendary Regulator soft, dry ride with excellent handling. Twin Yamaha 300hp Outboards with Bow Thruster are sure to deliver.Sales office is closed on Sundays. 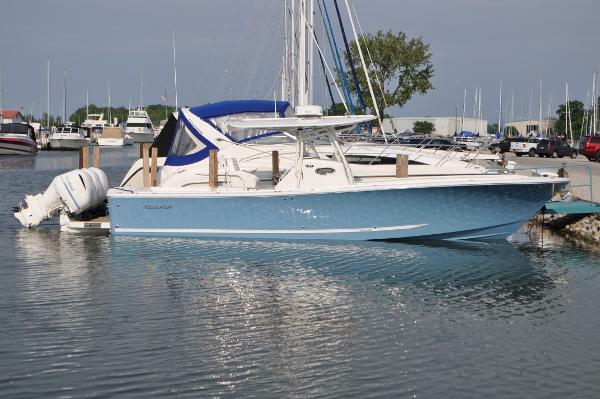 2007 Regulator 26 FS One Owner - ALL FRESH WATER - Only 360 Hours Got a large crew or family that takes boating as serious as you do? You can please everyone with the Regulator 26 FS. 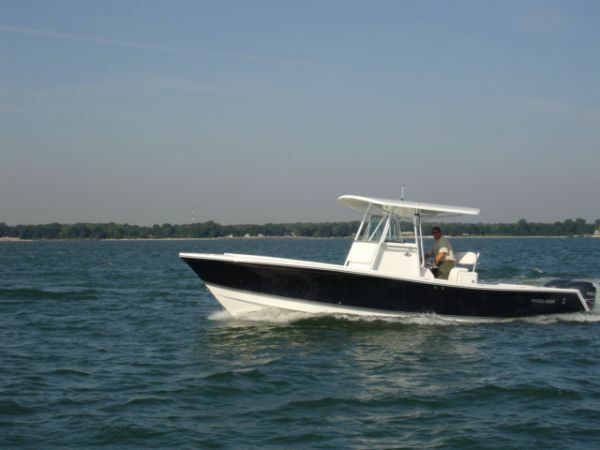 Check out the fully upholstered forward seating with two 140-quart coolers/dry storage below; padded coaming panels that extend 360° around the boat to add comfort and luxury; a 6’ stand-up marine head with holding tank; and a huge 700-quart, in-floor rod locker/fish box. There is a forward 64-quart cooler/seat that adds even more seating room. Now, don’t go thinking the fishing features are lacking on this well appointed vessel, because the 26FS is a pure offshore sportfisher! This boat is off site, please call to set showing appointment. Sales office is closed on Sundays. 2016 Regulator 34SS In Stock! Ready for Delivery. 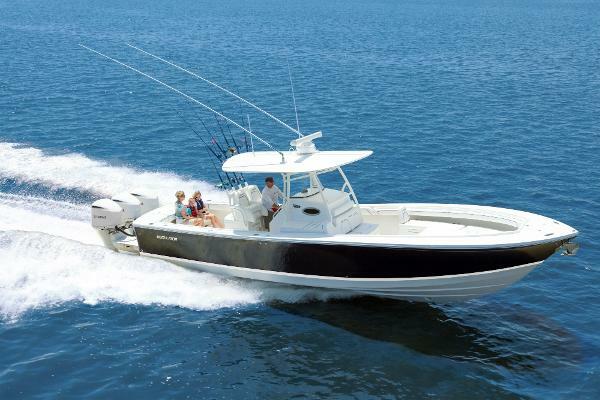 Call Today!White Triple Yamaha Engines with Helm MasterThe 34SS is perfect for both entertaining and fishing. Cruising comforts include wraparound seating on deck and sleeping berth with head below. Plus, we added the Cockpit Galley with a grill, Corian counter top, fridge and sink! Fishing amenities include plenty of rod and tackle storage, huge forward fish/storage boxes, and transom fishbox & livewell.